Alp Aviation is a privately owned company focusing on the aerospace industry. The company, the third largest aerospace exporter in Turkey, with approximately 20 percent share in Turkish Aerospace exports, has two facilities in Eskisehir with a combined production area of 253.000 square feet. With its extensive experience in machining and processing titanium, aluminium, steel, stainless steel, copper alloys and super alloys, Alp manufactures finished precision parts and mechanical assemblies for the aerospace industry. 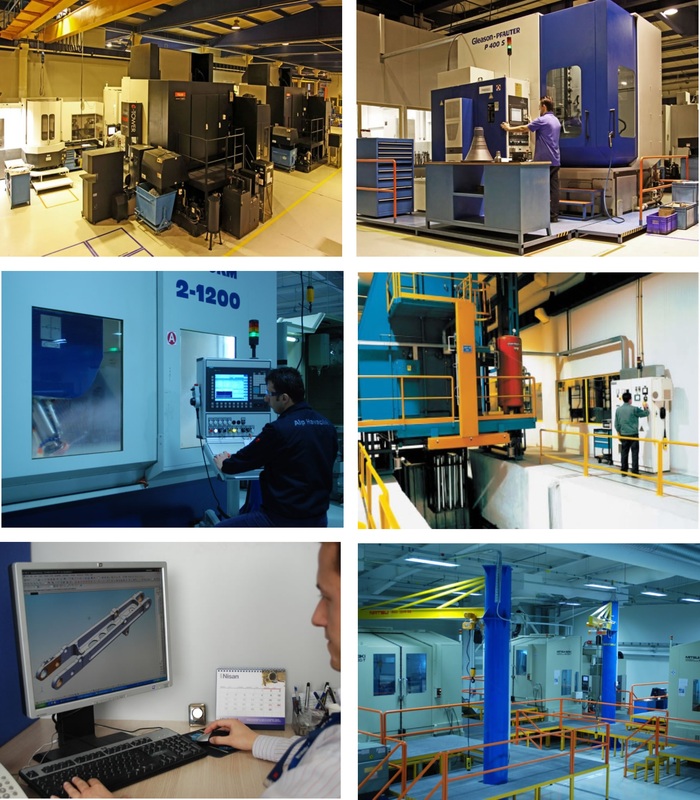 Alp Aviation utilises new generation multi-axes machining centres, CMM quality control, applies special processes, make assembly operations and do the final acceptance tests. The quality system is in accordance with the requirements of the global aerospace industry, as reflected in the highest level quality certifications that Alp Aviation possesses, including AS EN 9100, NADCAP, Flight Safety Parts Manufacturing License for Sikorsky platforms. As a part of UTC ACE (Achieving Competitive Excellence) quality management system, certificated as Silver Level on its all cells and site on June 2012; Alp Aviation has been achieved “ACE Gold Level” on its eight cells so far. In addition to this, the state of the art ERP system is utilized in the management of the entire manufacturing process and the corporate functions. Helicopter Dynamic Parts & Assemblies - Alp Aviation manufactures rotary-wing dynamic components, flight control hardware for all Sikorsky platforms, such as swash plate assemblies, bifilar, pressure plate assemblies, damper bracket assemblies, pitch-beams, horn assemblies, retention rod & nut. As part of Turkish Utility Helicopter program with Sikorsky, product line expansion planned towards the production of all major flight critical & dynamic components & assemblies such as gears, gear boxes, rotor hub and spindle for Black Hawk. Helicopter Tail Rotor Drive Shaft System (TRDS) Parts & Assemblies - Alp Aviation is the source of Black Hawk and Seahawk TRDS details and assemblies. Dynamically balanced, fully finished assemblies are shipped to meet the requirements of final helicopter assembly lines and spare needs of users. Dynamic & Static Engine and APU Parts - With dedicated engine components facility & business unit, Alp Aviation produces engine rotating hardware such as fan rotors & fan rear hub for F135, as well as other key engine & APU components such as Boeing 787 & Airbus 380 APU diffusers for Hamilton Sundstrand, Fuel & Oil Housings for many of Pratt & Whitney Canada engines, and Sync Rings for Pratt & Whiney F135 & F100. Alp Aviation is the major source for Pratt & Whitney F135 Stage 2, 3, 4 & 5 finished Ti IBRs as well as Fan rotor rear hub. An R&D contract is also signed in November 2011 between Alp and Pratt & Whitney to develop F135 Nickel IBR stages. Landing Gear Parts & Assemblies - Alp Aviation produces landing gear parts and subassemblies for F-35 (JSF) and F-22 programs for Goodrich Landing Gear. The first JSF Flight carried more than 40 Alp made parts in its landing gears. Collar, Torque Arms & Drag Brace Assemblies, Uplock Assemblies, 300M and AERMET 100 components are currently in production. The strategic cooperation between Alp Aviation and Goodrich Landing Gear is expected to bring more opportunities in the near future, not only for the JSF program but also for other programs like S70I and major commercial programs. The landing gear assemblies will be manufactured by Alp Aviation in the Turkish Utility Helicopter Program (TUHP). Structural Parts & Assemblies for Aircraft - Alp Aviation is the source of the Rudder & Horizontal Stabilizer for the Turkish Basic Trainer (KT-1T) Program as well as the Black Hawk Horizontal Stabilizer Centerbox assembly among others. Hydraulic and Fuel Systems Tube Assemblies - Alp Aviation is the source of hydraulic and fuel system tube assemblies which are made from titanium, stainless steel and aluminium in various aerospace programs.